Ontology: is the set of material or immaterial objects, of which a theory assumes that it can make statements about them. According to classical logic, an existence assumption must be assumed. In other fields of knowledge, the question of whether relations really exist or are merely mental constructs, is not always regarded as decisive as long as one can work with them. Immaterial objects are e.g. linguistic structures in linguistics. See also existence, mathematical entities, theoretical entities, theoretical terms, reality, metaphysics, semantic web. 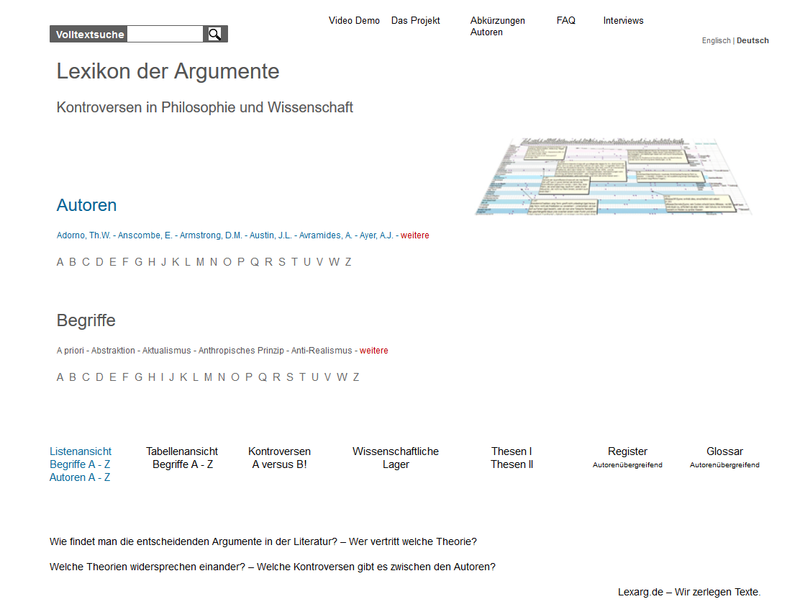 Boer, Steven E. Ontology Boer, Steven E.
Churchland, Paul M. Ontology Churchland, Paul M.
Kripke, Saul A. Ontology Kripke, Saul A.
Leibniz, G.W. Ontology Leibniz, G.W. Lewis, David K. Ontology Lewis, David K.
Searle, John R. Ontology Searle, John R.
Simons, Peter M. Ontology Simons, Peter M.
Strawson, Peter F. Ontology Strawson, Peter F.